Discussion in 'Lexus Lounge' started by krew, Sep 25, 2015. Lexus may have some big plans for its RC F GT3 race car, but for now, some of those plans will be delayed. If the longer development can somehow made RC F GT3 better , it is worth waiting . So , 2017 will see Lexus RC F GT3 & Toyota Yaris WRC , should be a good year . 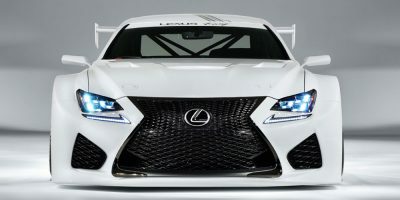 I can't imagine why it has taken this long for Lexus to make a serious racing effort in the USA. Trying to take on BMW (among others) in both sales numbers and performance vehicles - you've got to have a successful racing program to back up what you're selling in the dealership. (Ever heard of "Win on Sunday, Sell on Monday"?) Racing in Europe once or twice a year doesn't satisfy the enthusiasts in the USA - Lexus' dominate market. Fingers crossed for a formal announcement that they'll be in IMSA anytime in the future.